Routes is a trolley-friendly business! 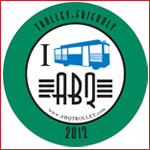 Get 20% off a Bike Rental when you take an ABQ Trolley Tour. Find out more by clicking here.